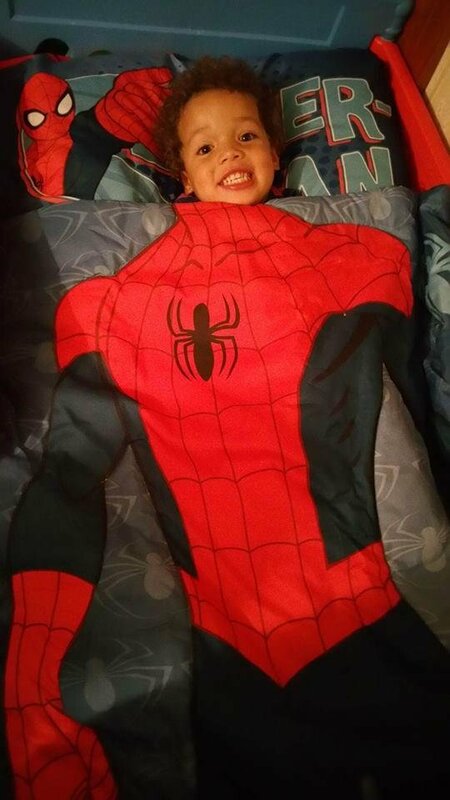 My little guy loves Spiderman and had a hard time transitioning to a big boy bed because he didn’t want to leave the security of his sister’s room. When we moved into our new house, he officially got his own room so I decorated it in a “Spidey” theme. I did some research and found this adorable “I Am Spiderman” bedding set that will fit a toddler bed. I ordered with Prime so it arrived in two days and needless to say he loves it. The sheets and comforter are extremely soft which is great because he he doesn’t like anything that’s too scratchy. The comforter is light enough to be used in the summer in Florida but still warm enough to keep him warm in the winter. As a mommy, I love it because he is so happy!! So I officially give it two thumbs up. Hopefully, I can find something that he will love just as much when he transitions into a twin bed.